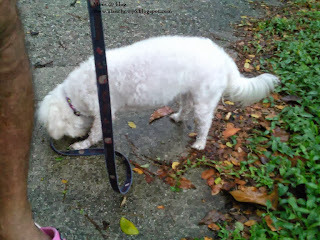 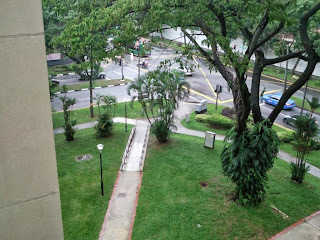 This morning woken up by a loud bang,thought it was thunder sound after the downpour. 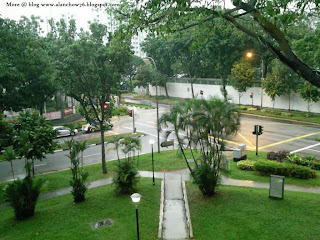 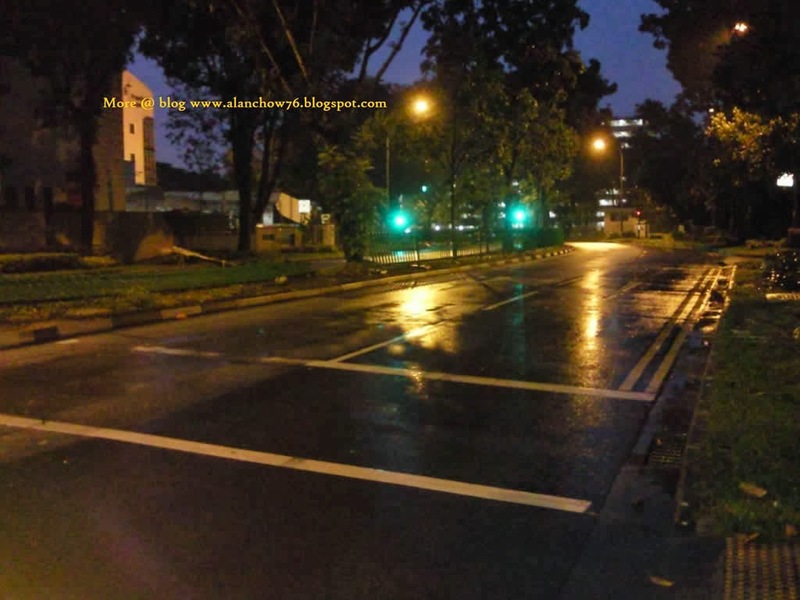 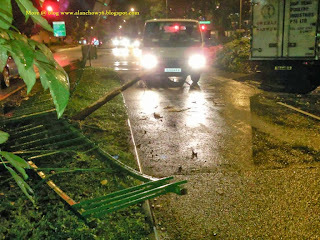 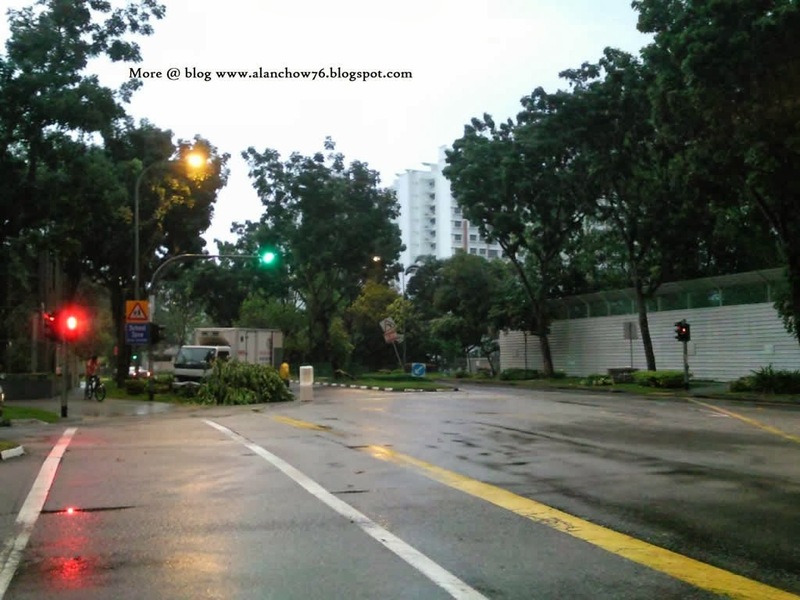 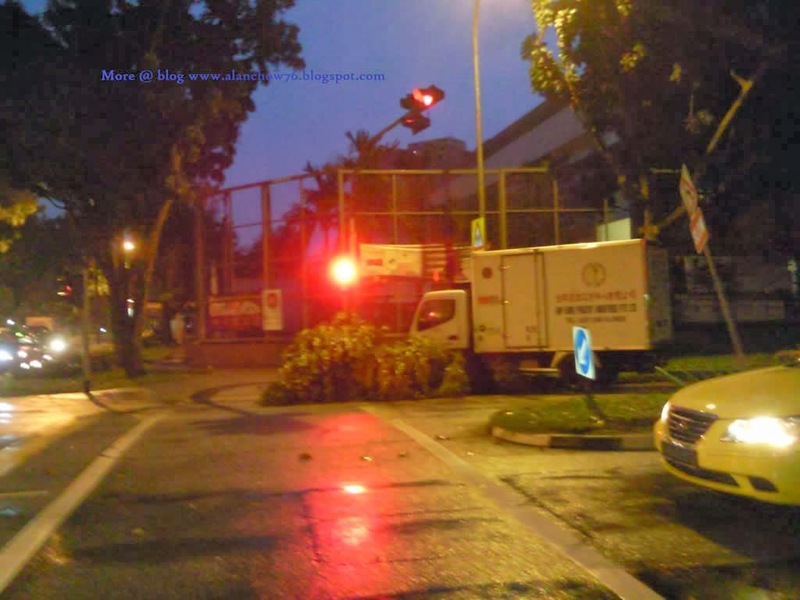 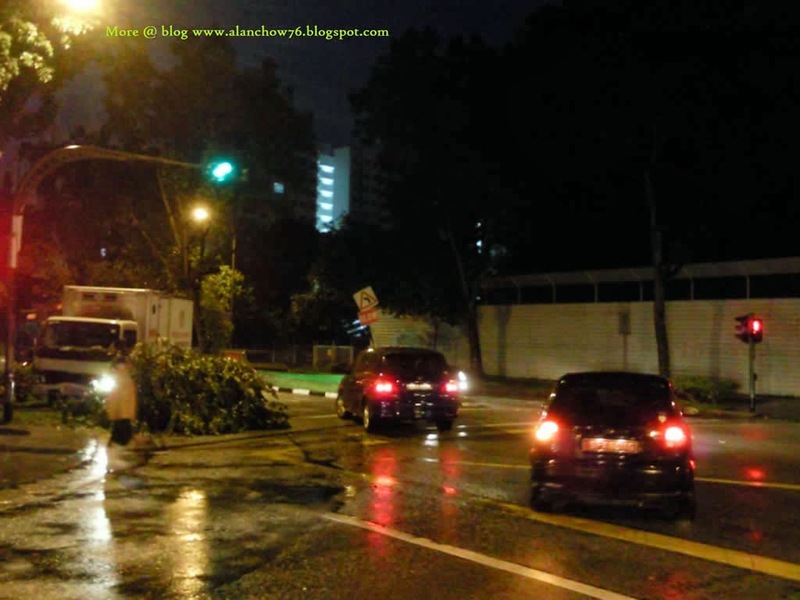 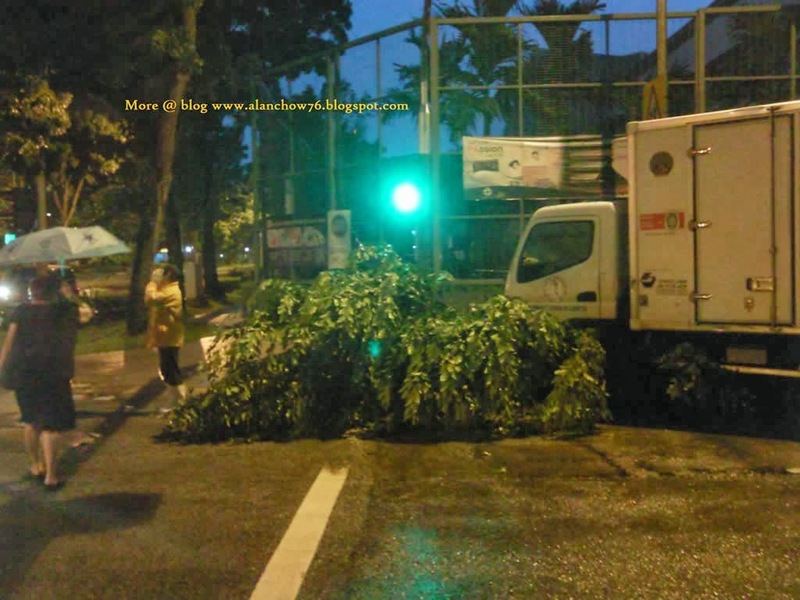 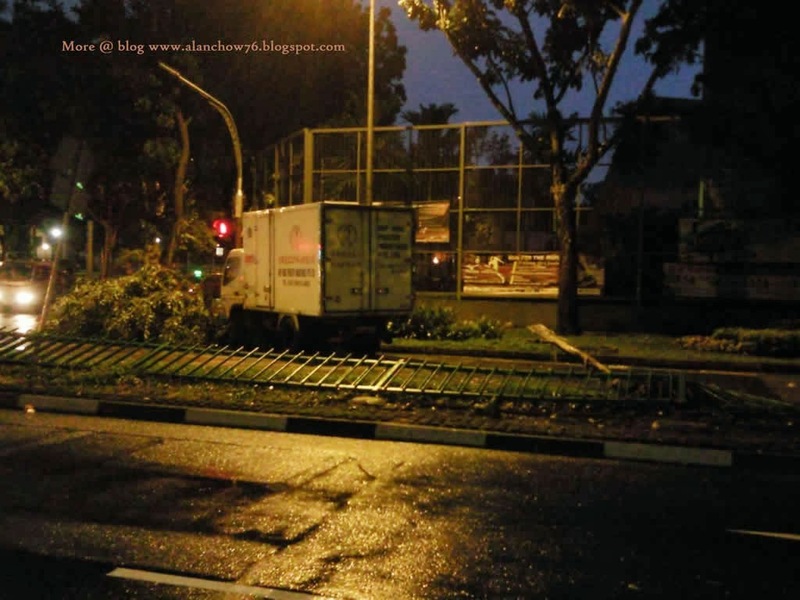 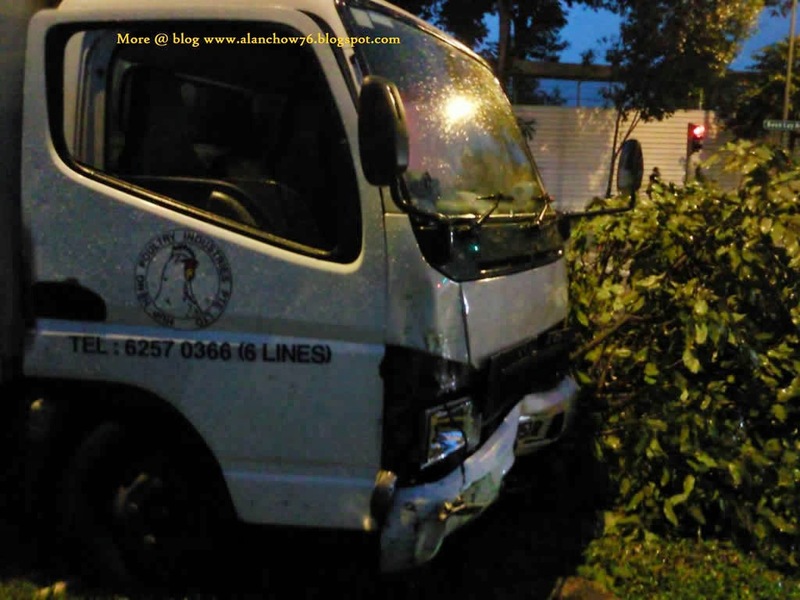 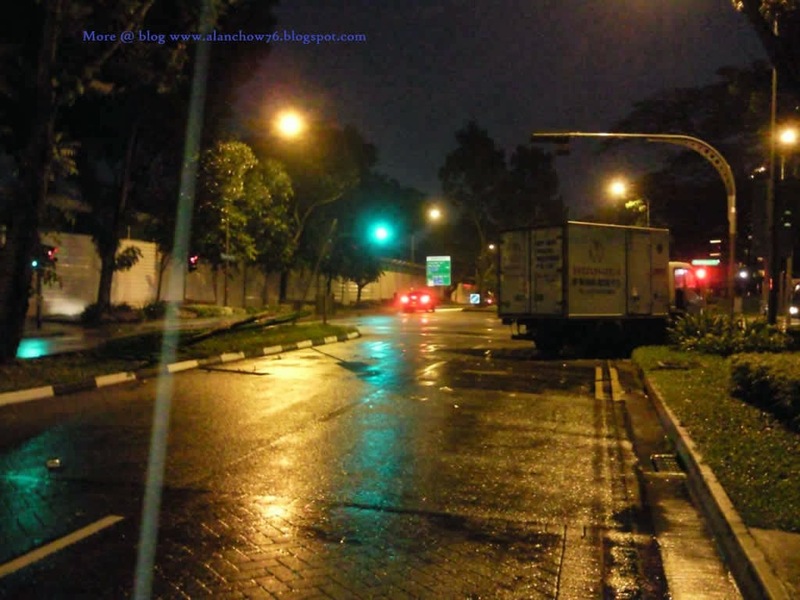 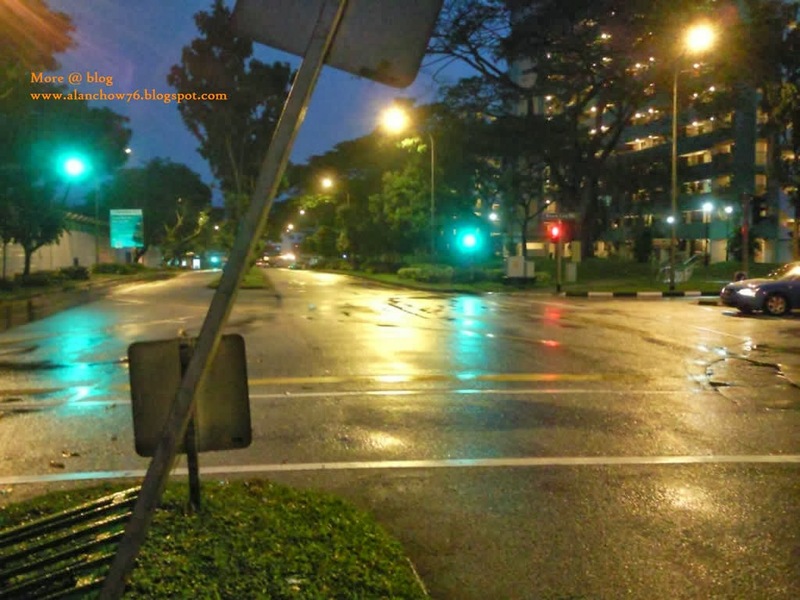 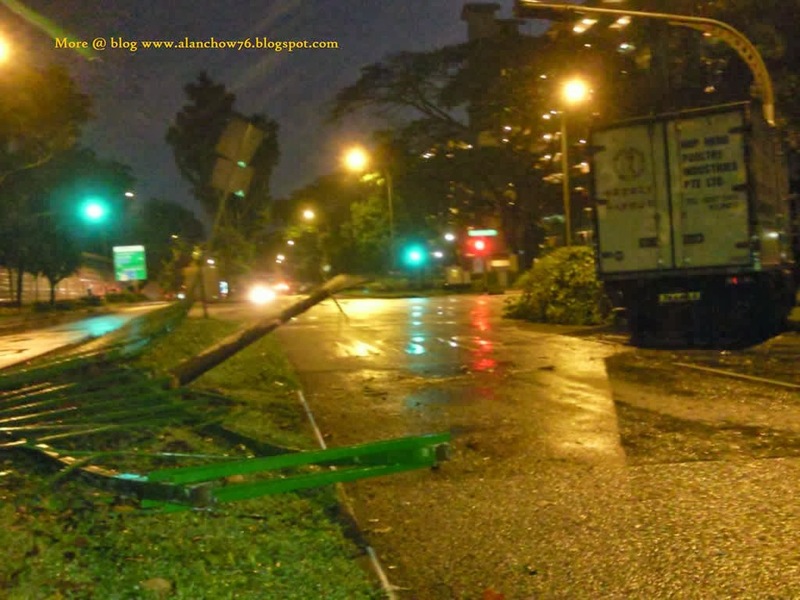 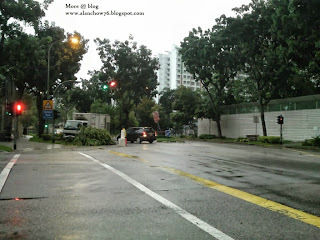 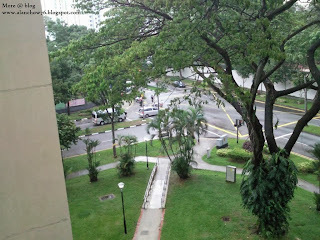 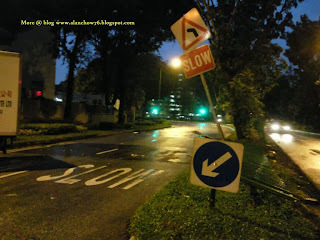 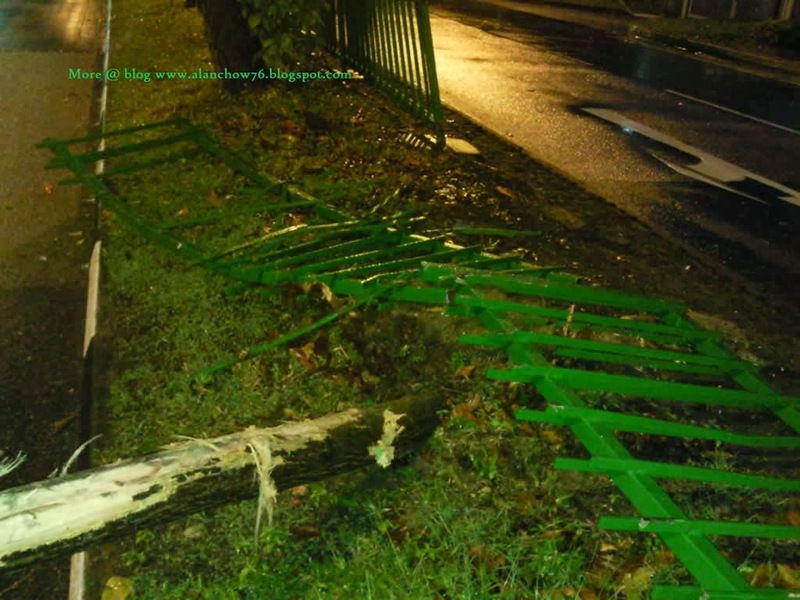 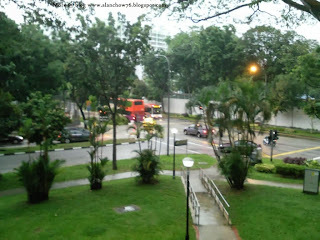 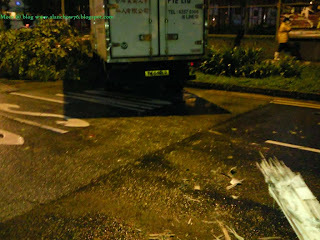 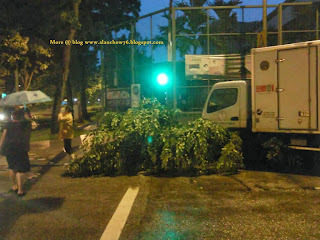 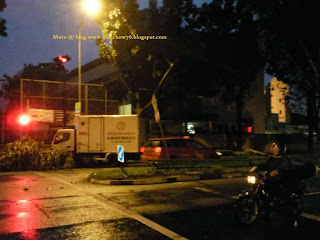 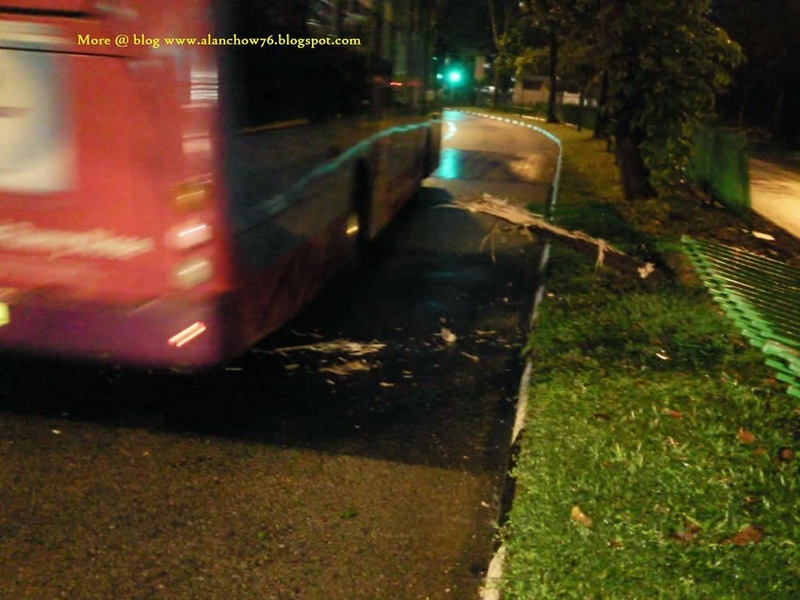 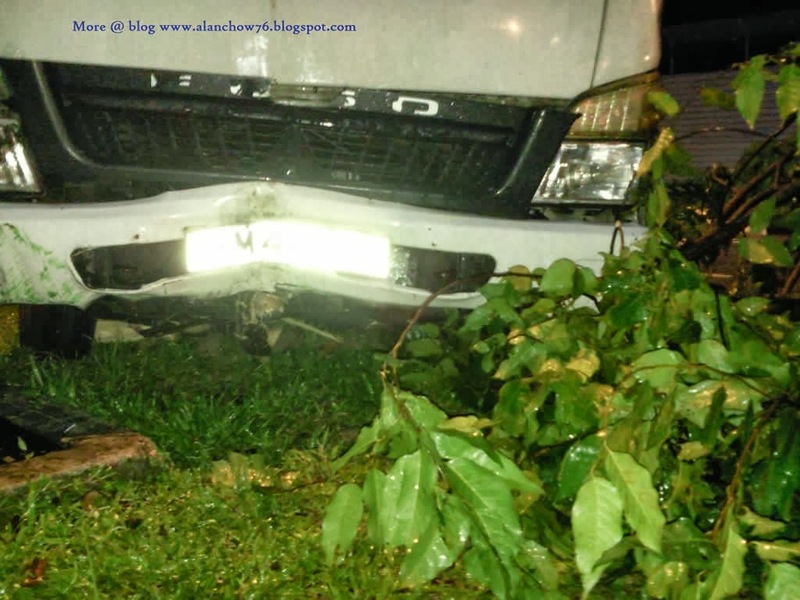 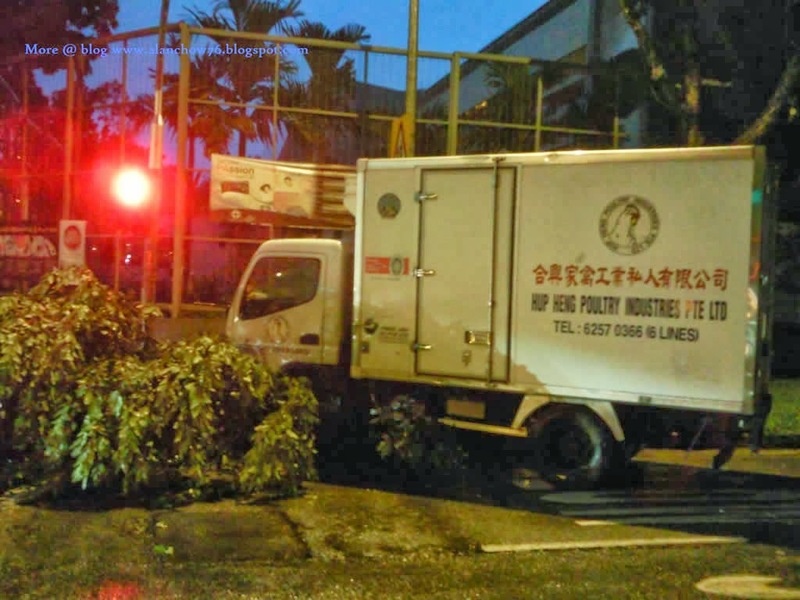 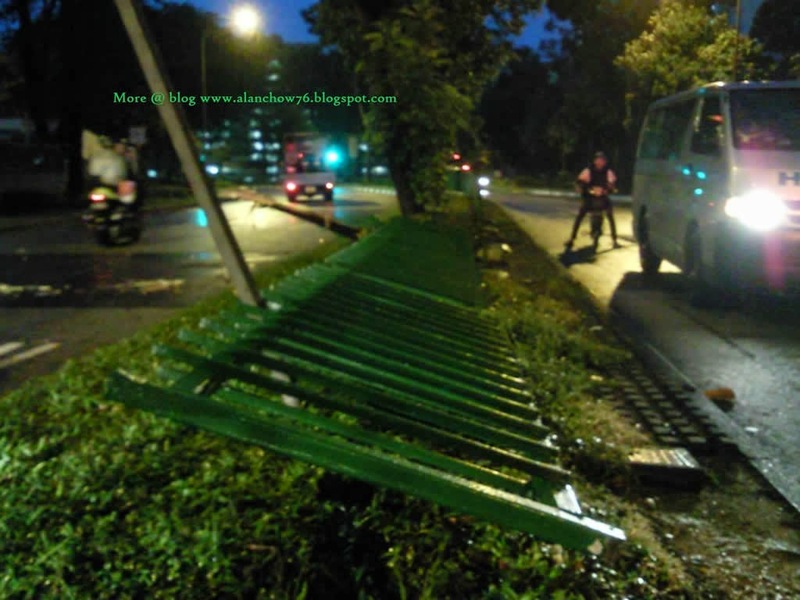 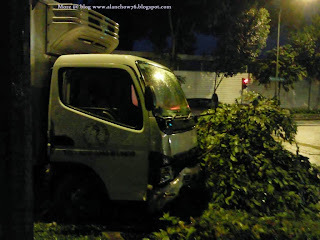 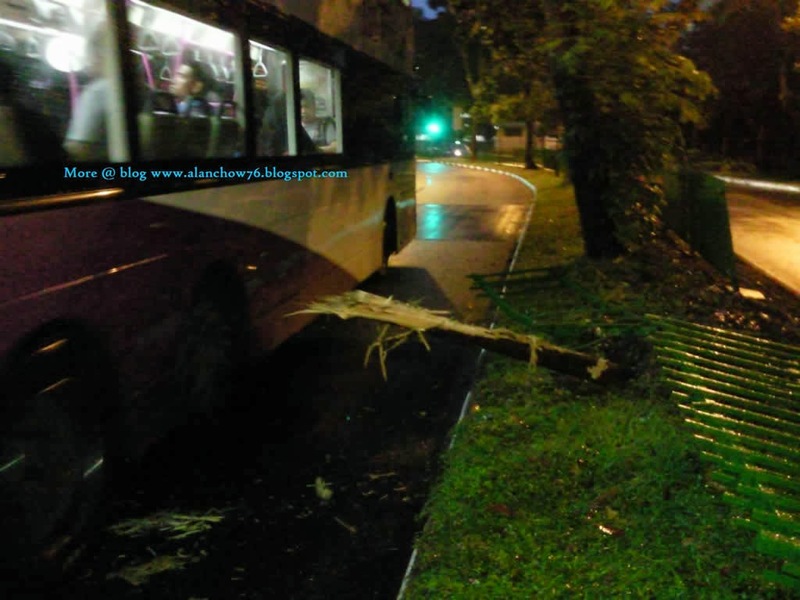 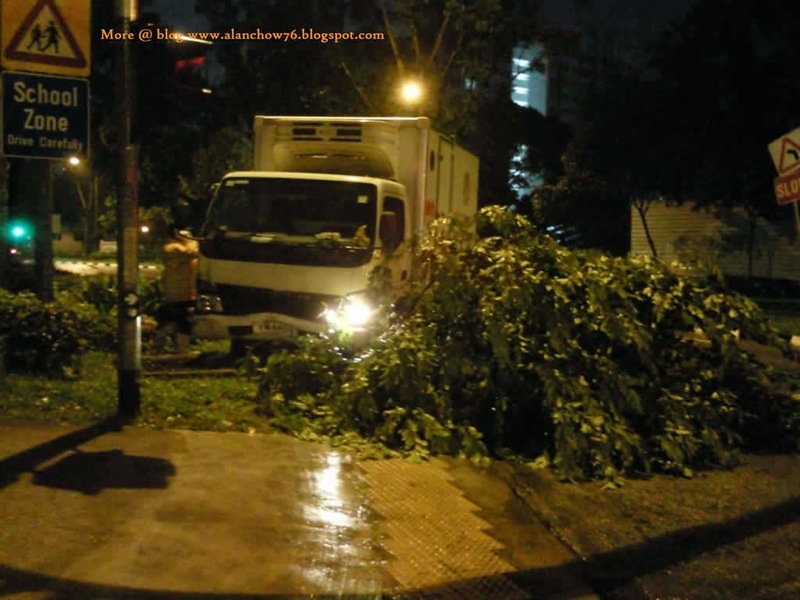 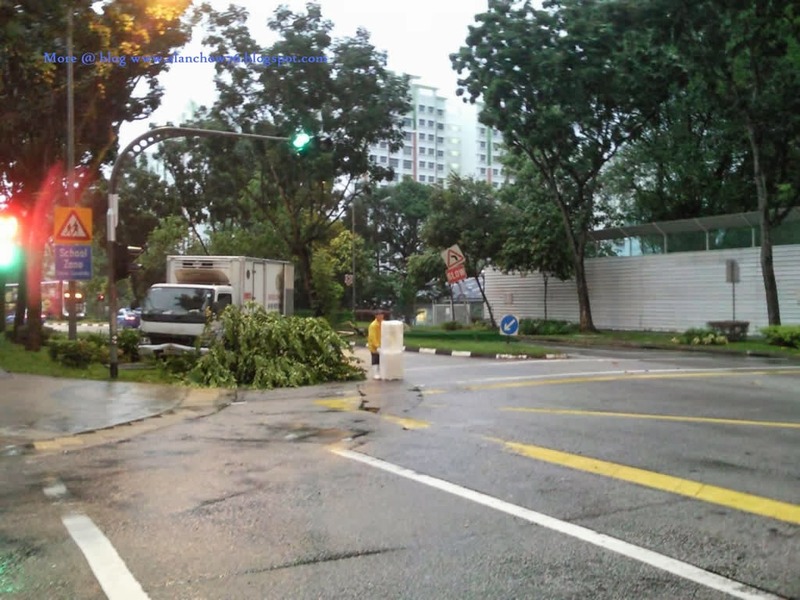 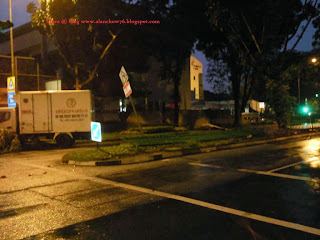 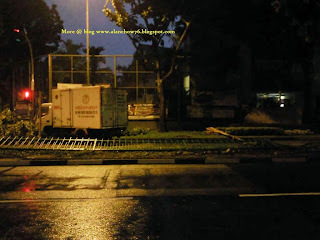 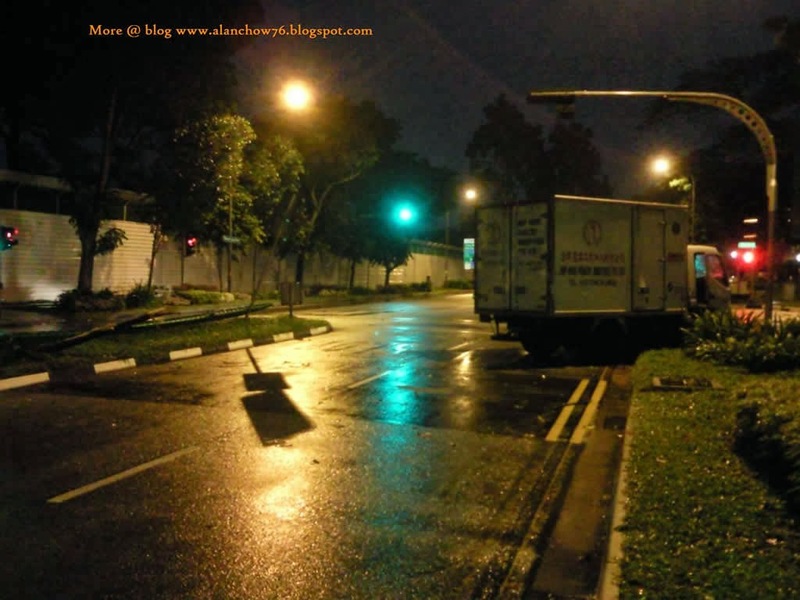 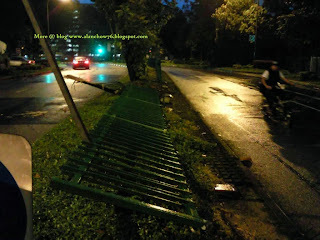 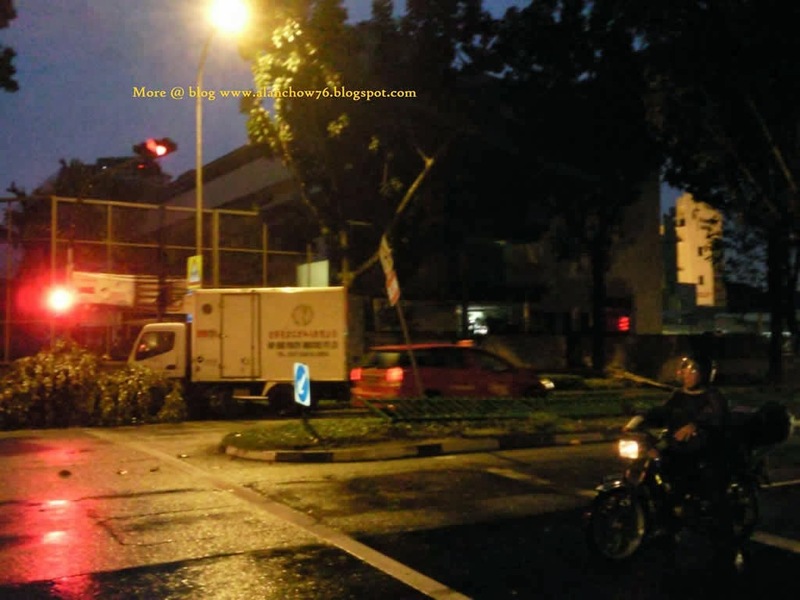 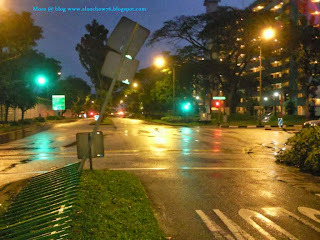 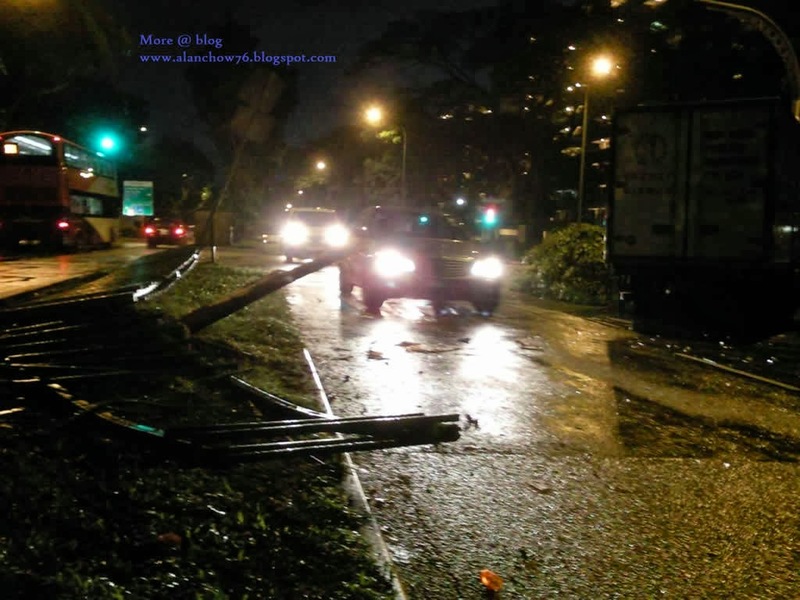 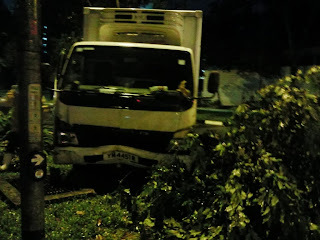 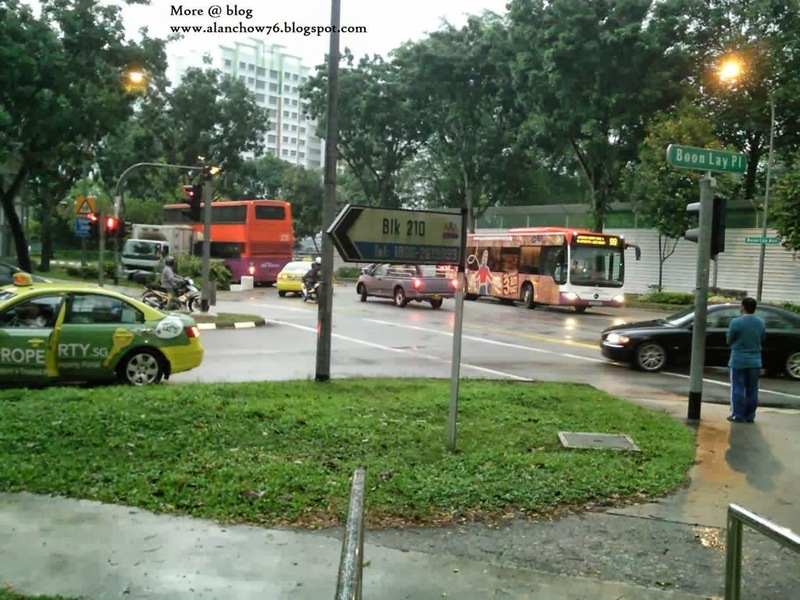 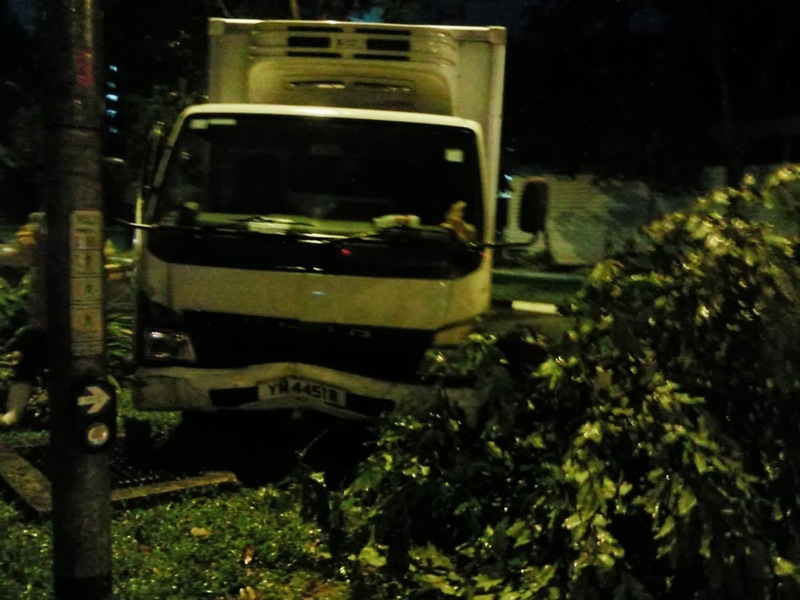 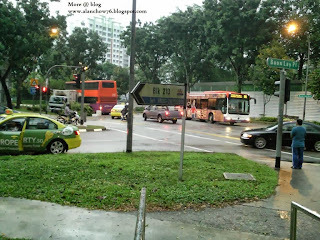 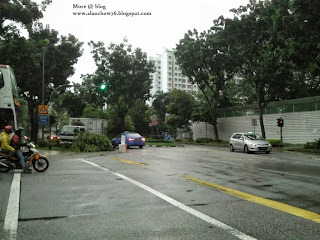 When I looked out from balcony, saw a class3 van knocked down tree and the metal divider. 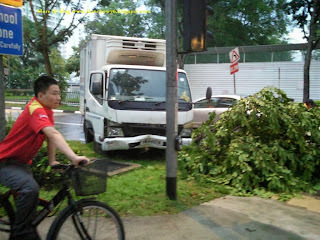 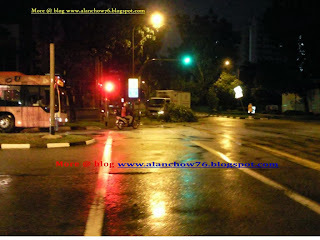 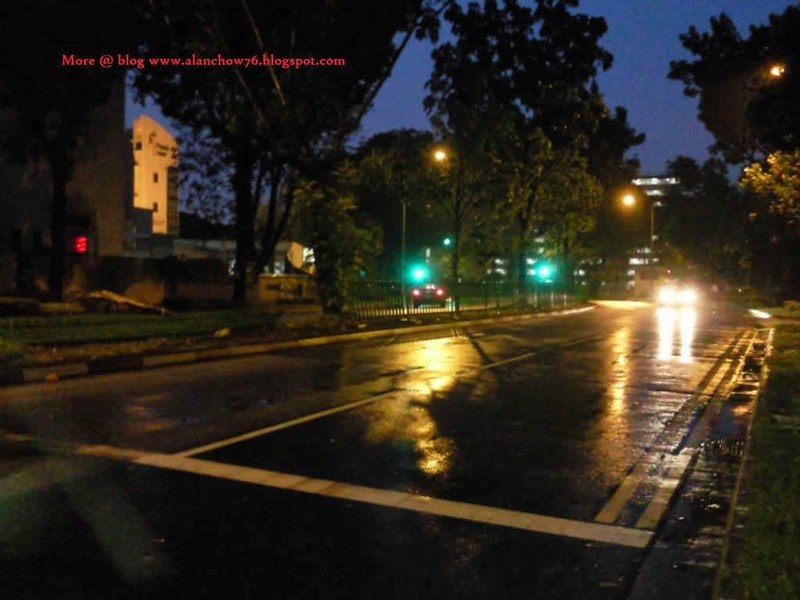 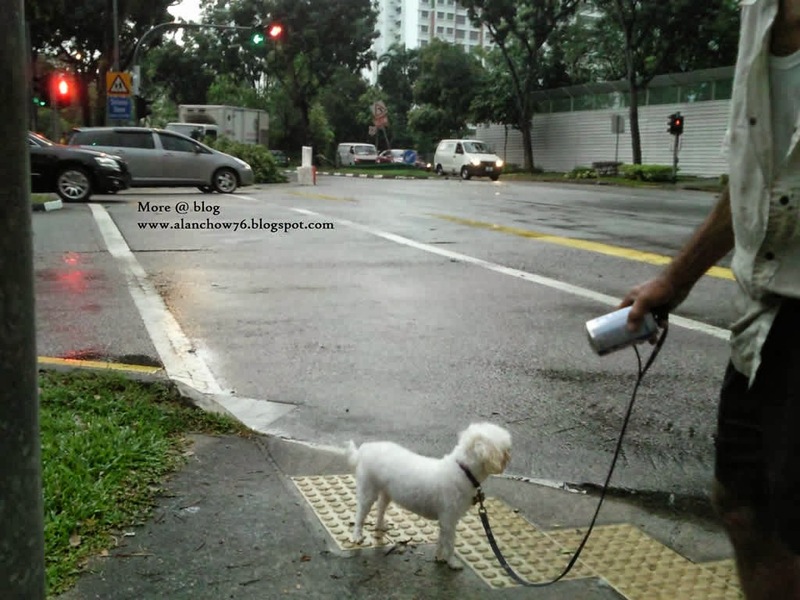 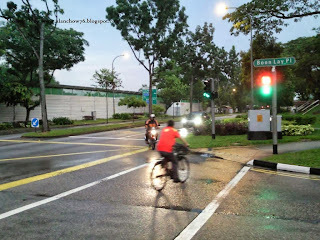 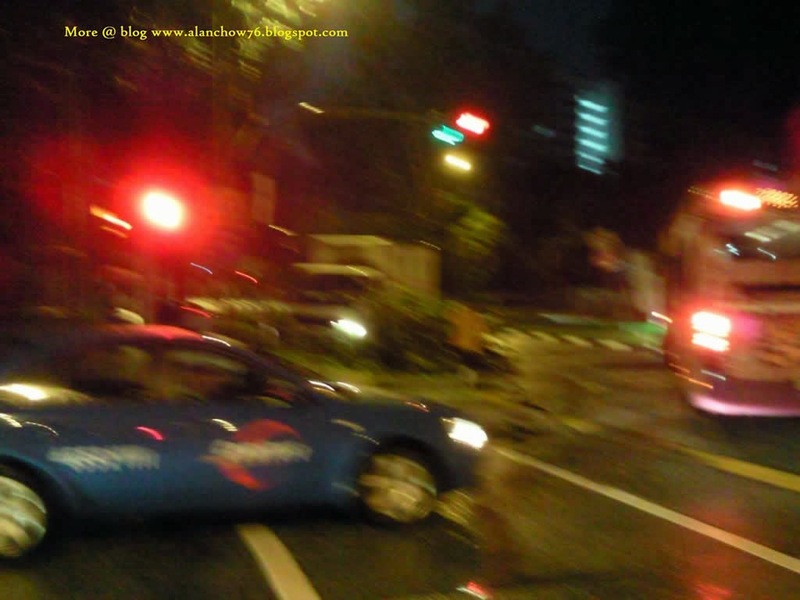 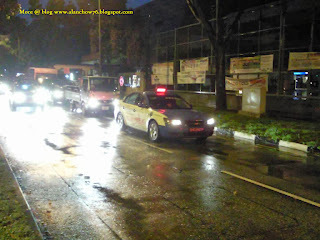 The driver from Malaysia was shocked and worried abt losing his job in Singapore. I reassured him that there's no problem as the road conditions not ideal , very dim in the morning. 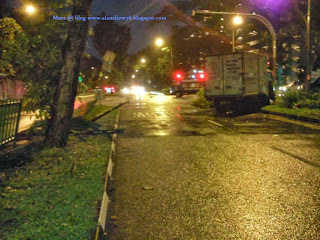 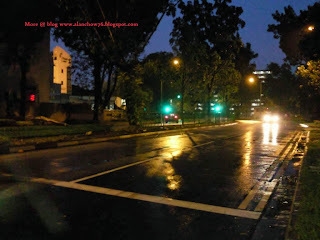 And furthermore there is a "flash flood" before the accident happen, so any driver can easily skid in that condition. 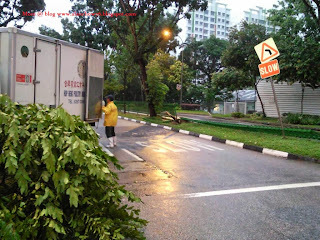 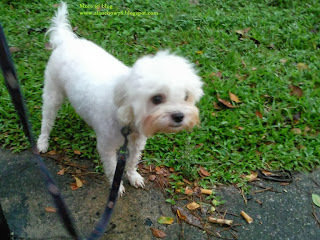 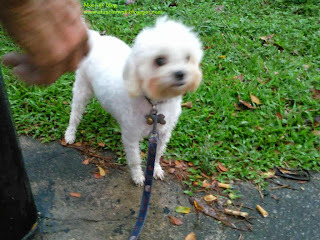 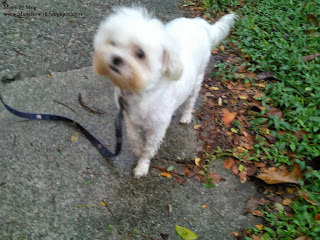 Lastly he just finish his morning delivery, must be tired and not very alert. 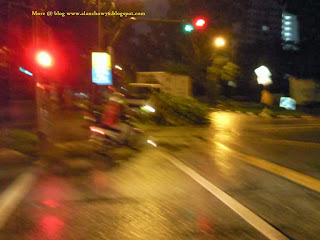 Explained to the traffic police shd be ok.